The return to blackouts compounds worries about Eskom Holdings SOC Ltd.’s precarious position and the threat it poses to the economy. It’s also an embarrassment for the ruling African National Congress just three months ahead of national elections. The rand tumbled Monday and government bond yields surged after Eskom suddenly announced sharply widened cuts. The crisis places President Cyril Ramaphosa, a former labor leader who took power in February last year, in a quandary. He’ll stand no chance of meeting a pledge to revive the flagging economy unless he fixes Eskom, and his hopes of a decisive win in the May 8 vote will be seriously undermined. “It’s time to treat it like a wartime emergency,’’ said Iraj Abedian, the head of Pan-African Investments and Research Services, who has advised the government on economic policy. The utility, which blamed poor maintenance for blackouts late last year, said it’s increasingly concerned about ongoing problems at two new coal-fired power stations. The huge Medupi and Kusile plants — already over-budget and years delayed — are also responsible for a debt crisis that has hamstrung the company. Ramaphosa said last week that Eskom would be split into three as part of plans to rescue the company — an initiative opposed by labor unions, which fear it will lead to privatization and job cuts. The president also pledged financial support for the utility but didn’t specify an amount. Those undertakings will do little to address Eskom’s problems, Moody’s Investors Service said Monday. Orchestrating a turnaround will probably require job cuts, making Ramaphosa’s task even trickier. Any attempt to reduce staff numbers will infuriate the unions that backed his rise to power and will play a key role in rallying support for the ANC. Eskom’s board gathered Monday for a six-hour emergency meeting with Public Enterprises Minister Pravin Gordhan and will commission an urgent review of the new plants, the company said. It’s demanding detail on when the projects will be completed and the extent of design and other operational faults. 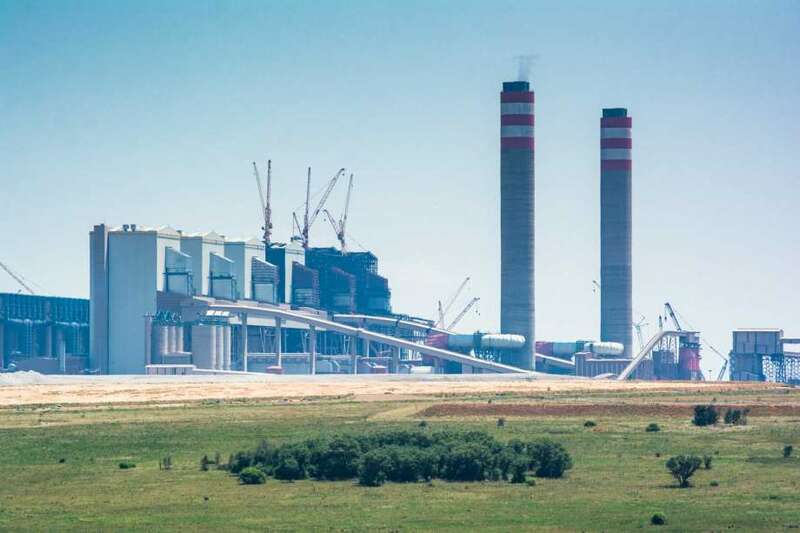 The two plants “are continuing to show a lack of reliability to contribute meaningfully to Eskom’s generating capacity, which is a serious concern,” Eskom said. The rand weakened 0.2 percent against the dollar by 1:35 p.m. in Johannesburg, after dropping 1.4 percent Monday. Yields on benchmark government rand bonds rose 3 basis points to 8.81 percent. Nigeria's crude production rises slightly in July as Shell lifts force majeure on Bonny light.